Upcoming comic festivals in Ohio & NYC! First I’ll be at SPACE (Columbus, Ohio) this weekend, April 21 and 22. This will be my first time at SPACE. I’ve heard really good things about this show I’m really looking forward to it! 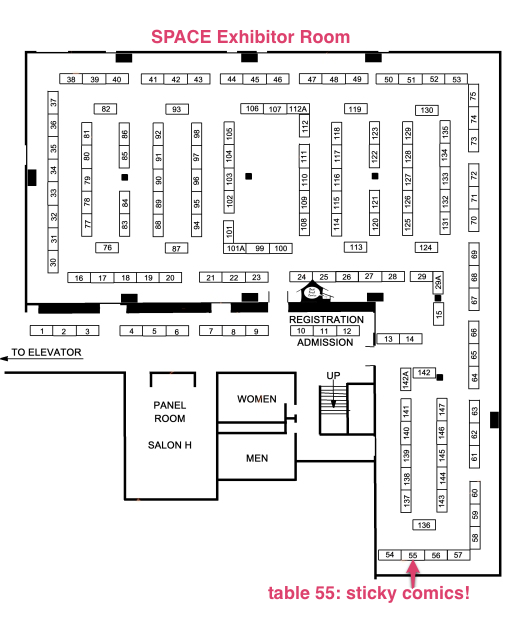 Please come find me at table 55 (here’s a map!). 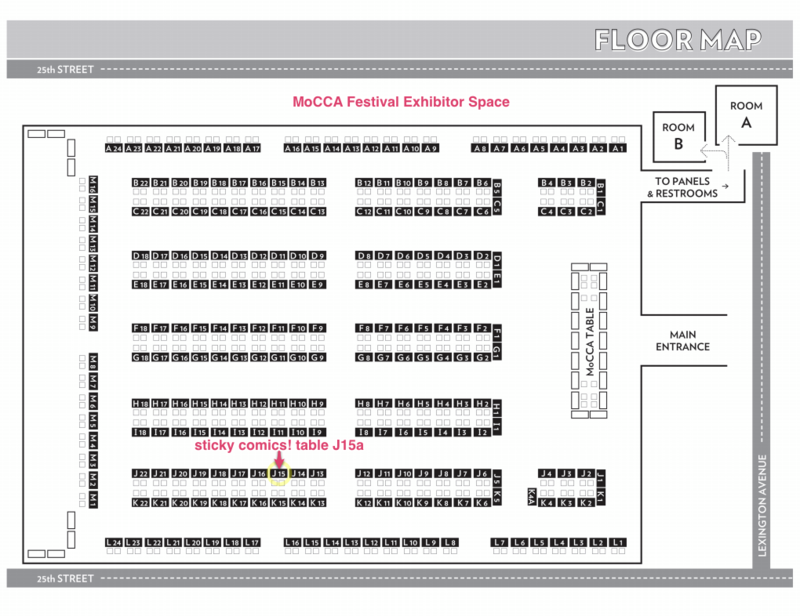 Then I’ll be at MoCCA Festival (New York City) the following weekend on April 28 and April 29. 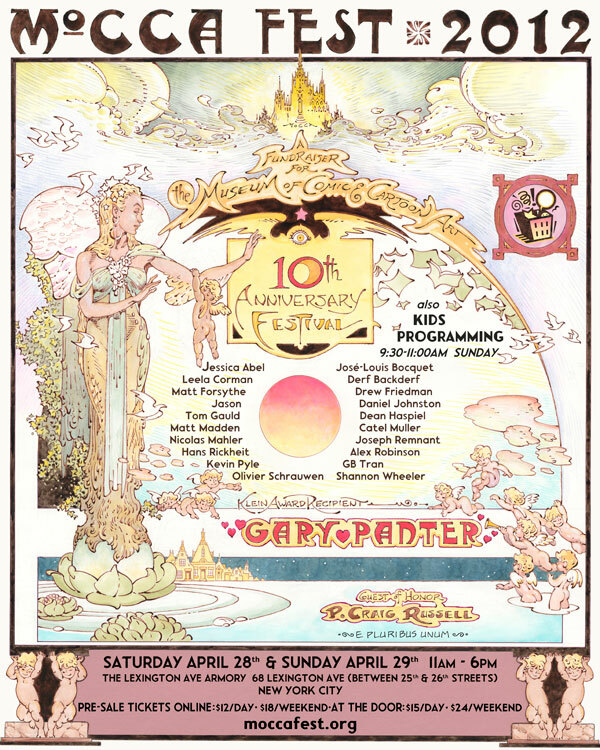 It will be my third time at MoCCA Fest and I’m totally psyched! You can come find me at table J15 (map! ), which is roughly where I was in the exhibitor room last year if that helps. At my table, I’ll be giving out free sticky comics postcards (that you can actually post by mail) and selling my usual swag: T-shirts, tote bags, prints, and other sticky comics stuff. Please come by and say hi!